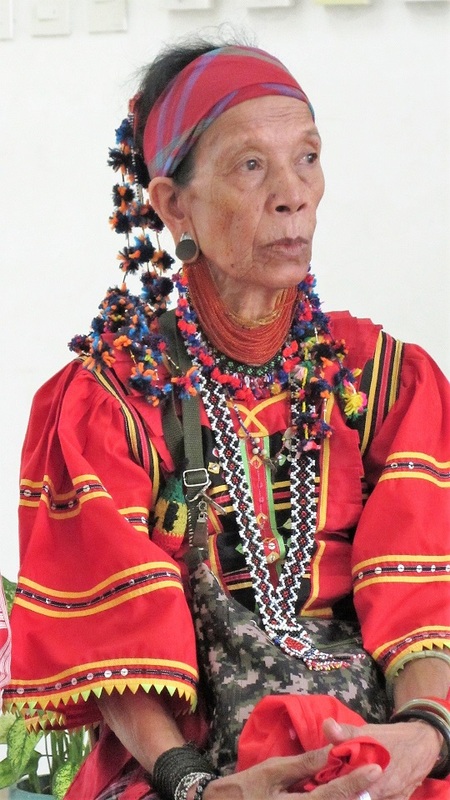 MANILA – The only known living woman warrior and chieftain of the lumad people, Bai Bibiaon Ligkayan Bigkay, is recognized this week as the Most Distinguished Awardee of the 5th Gawad Bayani ng Kalikasan. The stoic leader attended the awards ceremony in the traditional attire of her Manobo tribe from Talaingod, Davao del Norte. 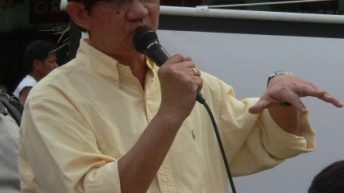 In conferring the award, the groups behind the Gawad Bayani ng Kalikasan said they are honoring Bigkay and the Talaingod Manobo for their continuing fierce defense of the 12,600 square kilometer Pantaron Mountain Range, home to one of the largest remaining virgin forests in the country that supplies the water of major rivers in Mindanao, mainly the Mindanao River, Pulangi River, Davao River, Tagoloan River and major tributaries of Agusan River. The Center for Environmental Concerns (CEC) and Kalikasan PNE said the natural forests of the region host immeasurable biodiversity and link important breeding sites of the Philippine eagle at Mount Kitanglad and Mount Apo. In an interview shortly before the ceremony, the Bibiaon (chieftain) said she considers the award a challenge to them all, a reminder of the need to persist with the struggle for the defense of the environment. A woman under threat of harm by paramilitary groups for her role in resisting the incursion of mining companies, she has spent much of the past three years in a sanctuary in Davao City. With other elder leaders, they have also spent much of these years bringing to the cities their campaign for the pullout of mining companies, military and para-military troops from their communities in the mountain. 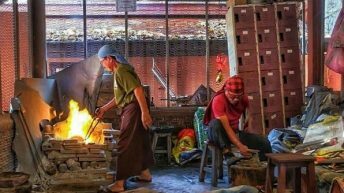 The civil society behind the awards-giving, in fact, introduces the crop of awardees in the biennial search with a sobering situationer that this is a dangerous time for environmental defenders. Asked what comes to her mind every day when she wakes up at the evacuation center in Davao, her quick response was, “Our home (in Talaingod).” Like other lumad who grew up with the forest in the background, their place of work, worship, play and pharmacy, she misses its lush greenery, its cool, sweet water, clean air, invigorating climate. Some six years before, Bibiaon Bigkay and the Ata Manobo tribe were living relatively peacefully, planting rice, corn, coconut and other crops. When soldiers from the 60th Infantry Battalion of the Philippine Army arrived into their community and prowled without their consent in 2012, the bibiaon and other community members were shocked at the havoc it wreaked into their daily lives. The soldiers said they went there to protect the exploration activities of the St. Augustine and Russel Mining Company. Since then, the bibiaon deplored the erosion of their peaceful lives, livelihoods, culture. When was the time she had the most difficulty as a leader? She said it was when they were just beginning to oppose the soldiers’ and miners’ incursion into their land and the forest. It had been more trying when she and her community were the only source of apparent resistance. How did she become chieftain? “Bibiaon Bigkay became chieftain because she was the most capable,” said Kaylo Bontolan, her fellow lumad and translator, and the deputy secretary general of Pasaka, the regional lumad organization. He explained that to them, it doesn’t matter if you’re a man or a woman, you can be the chieftain if the tribe sees you capable of doing it. By now, Bibiaon Ligkayan and the lumad are known as staunch defenders of the virgin forests of Pantaron Range. 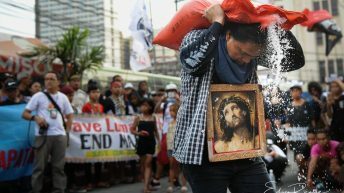 But, to the Philippine government pushing for intensified mining and investment liberalization, armed with military and para-military groups as “investment defense forces,” their struggle for self-determination is seen as rebellion. The tribe has been forced to be in an extended pangayaw (tribal word for war of defense). Traditionally, Bontolan said, it means wars between tribes. But now, it has meant war against enemies from another country, war against foreign aggressors taking control of their ancestral land and the wealth it holds, and displacing and killing the tribes in the process. 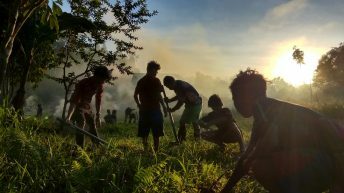 Based on the statements from environmentalists of the Center for Environmental Concerns (CEC) – Philippines and the Kalikasan Philippine Network for the Environment, the tribes’ displacement, if the TNCs had their way with Pantaron Range, is just the most immediately apparent loss. The other losses include the wealth and opportunity costs to bear from the damaged biodiversity and loss of irreplaceable resources. Encroachment of large mining and logging operations and energy corporations into the virgin forest would result in massive losses for future Philippine industrialization, not to mention the present and future generations not just of the lumad but also of every Filipino down the mountain who depend on the climate support and watershed role being provided by the forest. The lumad whose communities ring the virgin forest is like the vanguard defense to it all now. The struggle for their self-determination and the defense of Pantaron’s forest is ongoing. Bibiaon Ligkayan and other tribal elders might not be the same youthful leaders capable of running to the tribes’ sanctuaries deep in the forests. But they happily note how their youth have taken up the struggle. 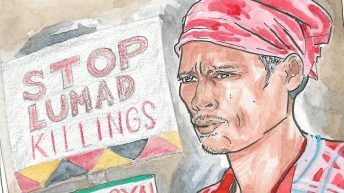 The administration in Malacañang views the lumad tribe’s defense of their communities and the forest as rebellion and like past administrations they are trying to malign it as “terrorism.” President Duterte has even upped the game. He went back on his campaign promise to end hostilities. Instead, he threatened to bomb lumad schools, and he’s helping the military to create mercenaries out of some desperate and threatened lumad to work with the government troops in silencing the defenders of the forests. 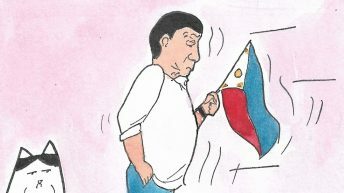 Against President Duterte’s diatribes, Bigkay vowed that they will not retreat. She said they’d rather die fighting than die of hunger. “If we lose our natural resources we all die,” she explained. 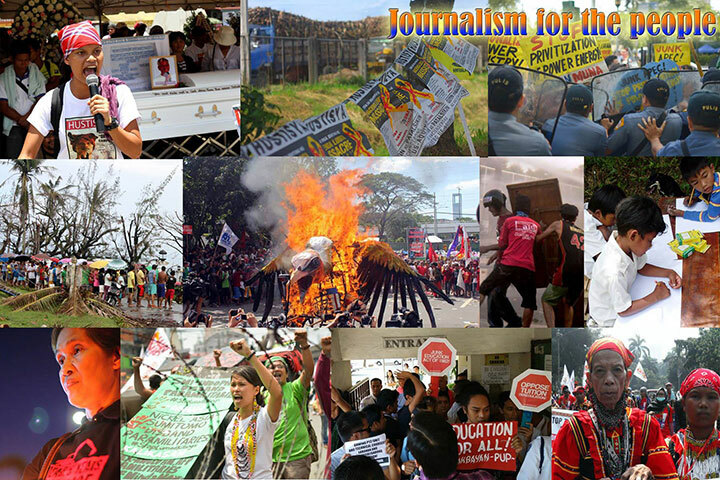 “All of us are being challenged to be in this struggle,” Bai Bibiaon told Bulatlat. She doesn’t fear Duterte’s threat of killing them all; she fears more the threat of seeing those natural resources, the virgin forest, taken away from us all.